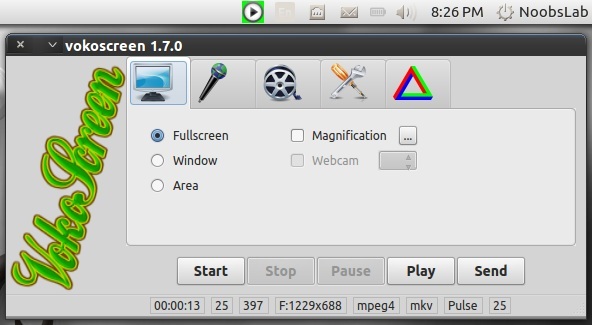 Vokoscreen is an easy to use screen-cast creator to record educational videos, live recordings of browser, installation, video-conferences, etc. 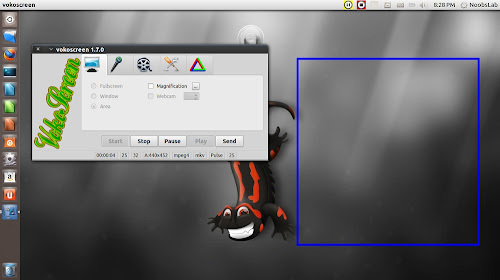 It is simple screen recorder which is based on ffmpeg. It can record unlimited video length. There is option to choose frame rate of video. It works with all Linux desktops like: Unity, Gnome Shell, Cinnamon, Mate and others. This screen caster works perfectly to record games while playing. Record whole screen, selection windows, or any area. 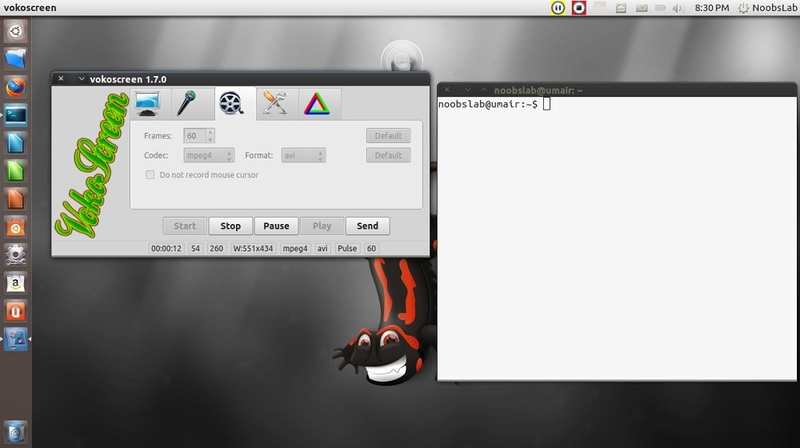 Record video directly from Webcam. Video settings record in avi & mkv format. Audio settings record in mp3 format. Option to show/hide mouse cursor while recording.